Saffron Rice Pilaf (Pulao)! Aromatic and nutty basmati rice cooked in a Saffron infused broth. 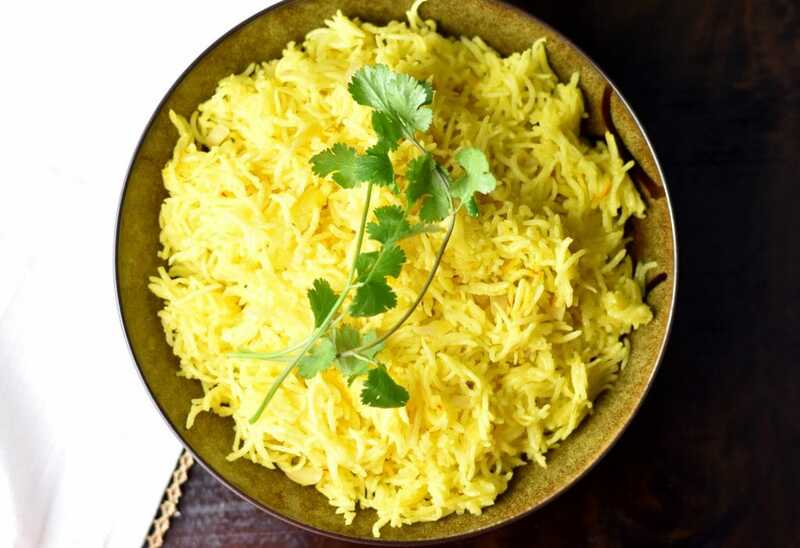 You can pair this easy and popular yellow rice with so many dishes across different cuisines. Saffron is a spice that is derived from the core of a flower called, saffron crocus. Each strand of saffron is carefully extracted by hand, which makes it the world’s most expensive spice (by weight). That being said, most recipes call for a pinch or two of saffron, so if you invest in a small box, it’ll last a long time. Saffron adds a deep floral fragrance along with a golden-yellow to a light-crimson color to dishes, depending on the quantity used. You can bring out the best flavor of saffron, by soaking it in a warm liquid, like water or milk. In Indian cuisine, saffron is used in many rice recipes, both sweet and savory. 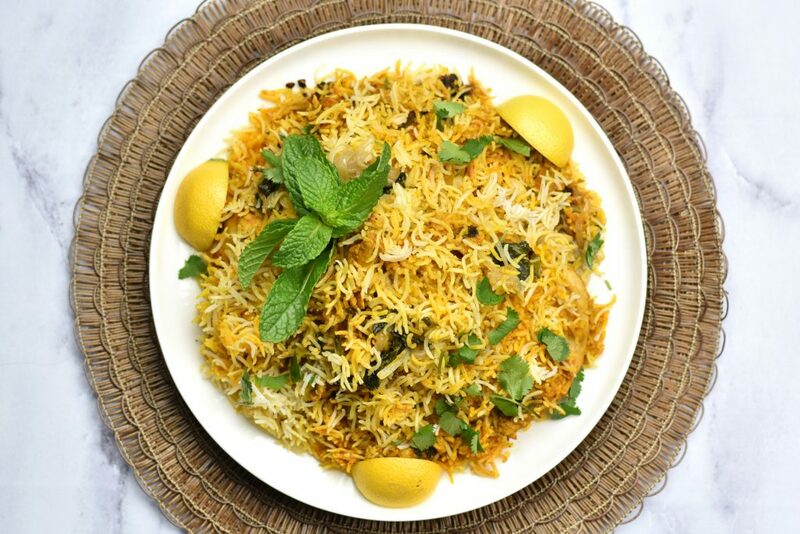 One of my favorite dishes, and, an extremely popular savory meat & rice pilaf, which uses saffron, is Chicken Biryani. 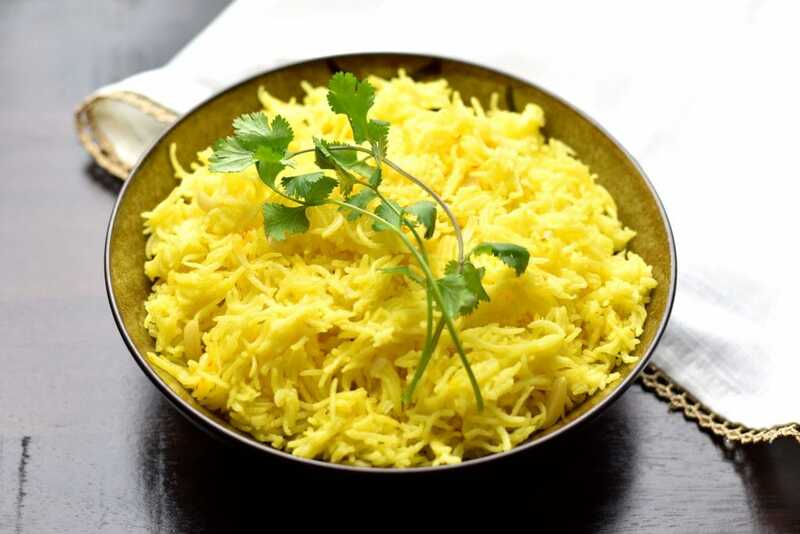 Saffron rice is also very popular in the Persian cuisine. A lot of Indian food includes saffron. Saffron is typically used in most Indian desserts, like Rava Kesari (Semolina Pudding) and Kheer (Rice Pudding). I find Saffron Rice Pilaf to be a pretty versatile side. 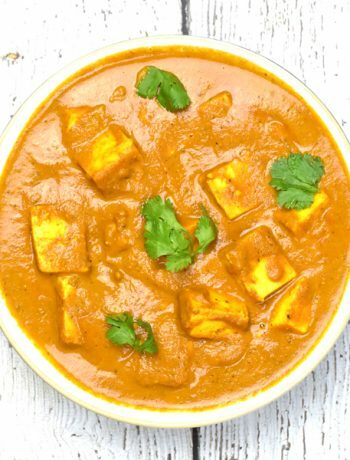 You can enjoy it with many Indian curries, like Butter Chicken, Lamb Korma, Paneer Tikka Masala, etc. My family like to pair it with mediterranean spiced proteins like Chicken Shawarma, or Falafel. This rice pilaf recipe works well with both Basmati rice, as well as Jasmine rice. 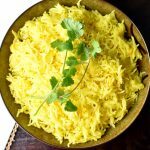 In this recipe, I cooked saffron rice in my electric pressure cooker, Instant Pot, but it can be prepared in any pressure cooker, a rice cooker, microwave, or even on the stove-top. 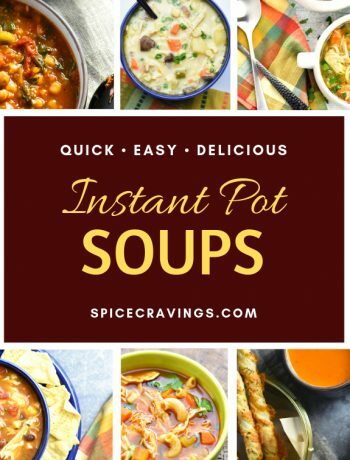 To learn more about the instant pot, check out my Instant Pot FAQ and Accessories blog. Here is how to make it on the stove top or the microwave as well. Rinse 1 cup of rice 2-3 times, till water runs clear. If you have the time, soak it for 15 minutes, that results in fluffy rice. For one cup of rice, bring 2 cups of water to a boil. Add rinsed and drained rice, salt, ghee or oil, slivered almonds (optional), and saffron, that has been soaking in warm water (see how-to instructions in recipe card). Bring the water to a boil, reduce the heat to medium, cover and cook for 10-12 minutes, till you reach your desired texture. Rinse 1 cup of rice 2-3 times, till water runs clear. If you have the time, soak it for 15 minutes, that results in fluffy rice. In a microwave safe bowl, add drained rice, 2 cups of water (for 1 cup rice), and all other ingredients, and cook it at “rice” mode. Saffron Rice Pilaf or Pulao is aromatic and nutty basmati rice cooked in a saffron infused broth. This easy and popular side compliments many dishes from around the world. Main Pot: Add rinsed and drained rice and all other ingredients in the inner pot of the instant pot. Close lid. Set valve to sealing position. Cook on Manual/Pressure Cook for 6 minutes, OR, Rice mode, which defaults to 12 minutes. Pot-in-Pot: Add all ingredients in any oven safe container. Add 1 cup water, or the recommended quantity, to your inner pot. Place trivet and place the rice bowl on top of that. Close lid. Set valve to sealing position. Cook on Manual/Pressure Cook for 6 minutes, OR, Rice mode, which defaults to 12 minutes. Serve: Wait 10 minutes before manually releasing the pressure (NPR 10). Open lid after pin drops. Using a fork, carefully fluff the rice. Serve with your favorite entree! Rinse 1 cup of rice 2-3 times, till water runs clear. If you have the time, soak it for 15 minutes, that results in fluffy rice. For one cup of rice, bring 2 cups of water to a boil. Add rinsed and drained rice, salt, ghee or oil, slivered almonds (optional), and saffron, that has been soaking in warm water (see how-to instructions in recipe card). Bring the water to a boil, reduce the heat to medium, cover and cook for 10-12 minutes, till you reach your desired texture. In a microwave safe bowl, add drained rice, 2 cups of water (for 1 cup rice), and all other ingredients, and cook it at “rice” mode. ❤️ Share the Love! 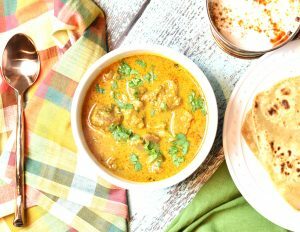 If you try my recipes, share a picture with hashtag #spicecravings on Facebook or Instagram. It’ll make my day! For more quick & easy recipes, SUBSCRIBE to my Youtube Channel and FOLLOW my RECIPE BOARDS on Pinterest.